POWELL, Wyo. 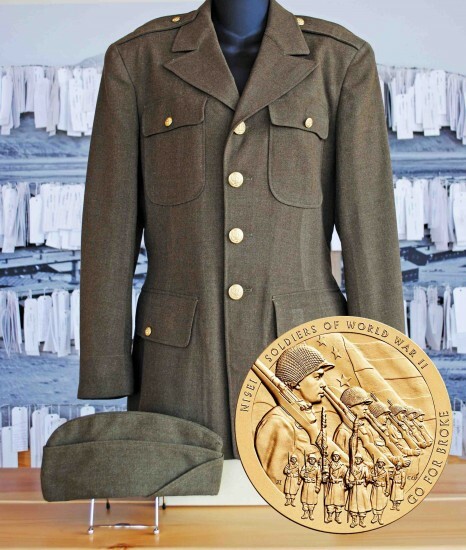 — The Congressional Gold Medal and uniform from a Japanese American soldier who served with the heralded 442nd Regimental Combat Team during World War II are part of a new exhibit at the Heart Mountain Interpretive Center. They are just a few of the unique items on display for the first time in an exhibit titled “Dusted Off,” featuring new acquisitions to the Heart Mountain collection. In addition to the medal and uniform, there are other objects from the 442nd RCT, a segregated all-Japanese American unit that fought in Europe. The 442nd went on to become the most decorated unit for its size and length of service in the history of the U.S. Army. 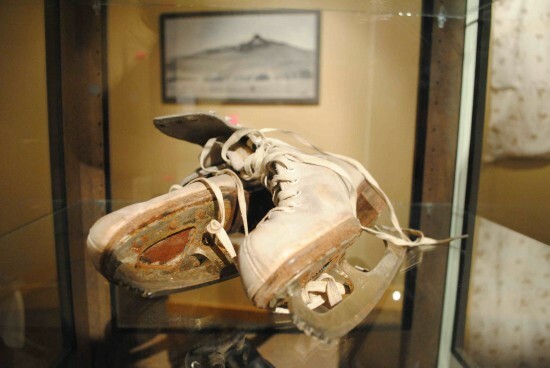 Also on display are items that illustrate everyday life at Heart Mountain, including ice skates, mess hall dishes, and a handmade curtain. Artwork made in camp is featured as well, including an intricately hand-carved wooden mirror. The exhibit represents not only a significant chapter of American history, but also the commitment by generous donors who saved the items for many years before dusting them off and turning them over to the care of the Interpretive Center. The exhibit comprises a mix of items from Wyoming donors, former incarcerees and descendants of incarcerees. “Dusted Off” is open now and will run through Feb. 26. The special exhibit allows visitors to view artifacts, lovingly saved through time, that reflect life in the “Heart Mountain Relocation Center,” as well as items that highlight the service of Japanese Americans who went overseas to fight while their families remained unjustly confined in camps. “Not only do we hope this exhibit impresses visitors with never-seen-before items, we also hope it inspires those holding Heart Mountain artifacts to consider entrusting these precious items to us for future preservation, display and care,” said Liesinger. Located between Cody and Powell, Wyo., on Highway 14a, the Heart Mountain Interpretive Center is located on a National Historic Landmark site featuring a museum, walking trail, war memorial and original camp structures. It is open Wednesday through Saturday from 10 a.m. to 5 p.m. Admission is $7 for adults, $5 for seniors and students, and free for children under 12. For more information, call (307) 754-8000 or visit www.HeartMountain.org.